Stay in Peloponnese's best hotels! Hotel Europa Olympia is built on the top of Drouvas Hill in Ancient Olympia. The staff were, without exception brilliant. On arrival we were greeted warmly and immediately given an excellent description of how and when to visit the Olympia ancient site The facility is wonderful offering a very well appointed and luxurious room and fabulous pool with bar. There is outside fine dining as well among the olive trees overlooking the plains. This was the type of luxury experience I would have expected to pay more for. Set in Mykines, La Petite Planete features a seasonal outdoor swimming pool and free WiFi. Featuring a restaurant, the property also has a garden. Rooms have a balcony. What did I not like? The hotel is very near the archaeological site of Mycenae and you can walk there in the afternoon when there are very few people. The hotel itself has a very refreshing pool. The breakfast and dinner were really great. Honestly, probably the best stuffed tomatoes I’ve ever had, and I’ve had a lot. There are kittens and dogs that won’t bother you if you don’t want but are otherwise very friendly if you want to pet them. The staff was fantastic and offered me rides from different places along the road to the hotel when they’d see me walking. Good A/C. Beautiful balcony views. Mykines is a great little town with really excellent people. I was more than once offered a free coffee or water from shop owners who saw me walking down the road. If you’re there and need a taxi, Kostas is an excellent and trustworthy driver with very interesting stories. I’ll definitely go back. Located in Methoni, Achilles Hill Hotel features a garden. With free WiFi, this 3-star hotel has a terrace and a bar. Certain rooms at the property feature a balcony with a sea view. It’s a new hotel: modern, functional, comfortable and clean. Breakfast was good. Featuring a terrace and views of sea, Poseidon is located in Ancient Epidauros, 10 miles from Archaeological Site of Epidaurus. Located in Mystras, Mystras Grand Palace Resort has free bikes and seasonal outdoor swimming pool. The 5-star hotel has air-conditioned rooms with a private bathroom and free WiFi. Room was amazing, felt like we were alone in a small house, staff very nice. Located in Dimitsana, Hotel Archontiko offers a bar. This 3-star hotel offers a 24-hour front desk and free WiFi. The rooms are fitted with a flat-screen TV with with cable channels. The location and service were great! Housed in a neoclassical building, in the scenic center of Nafplio Town, Gambello Luxury Rooms offers elegantly decorated units with free WiFi access. Location was perfect . The room was beautiful , so clean and well looked after . Lovely view from room . Breakfast was lovely . Best eggs ever , yoghurt and orange juice . Great value . The staff were so nice and friendly . Would highly recommend these rooms . 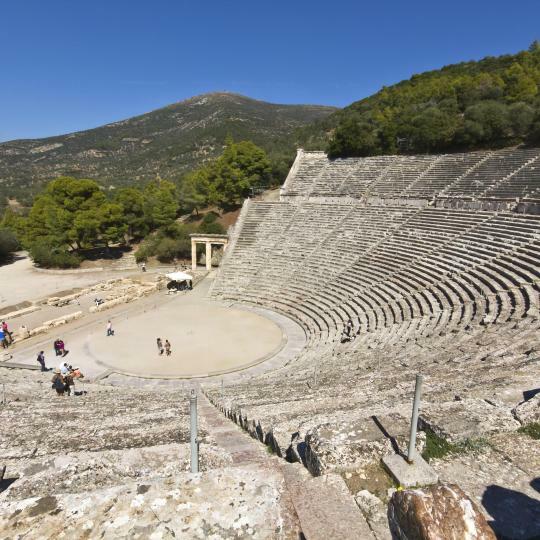 Located 8.7 mi from Ancient Theater of Epidaurus in Ancient Epidavros, Akron Luxury Holidays features a restaurant and a bar. All rooms boast panoramic sea and city views. Perfect view over Archea Epidavros, on road side, yet in the middle of a pine forest. Andreas an excellent host, guys in the restaurant awesome. Refined selection of spirits and homemade products, a lot of them made by the owners. Good wifi, and an overall good vibe. Gorgeous huge breakfast with everything you need to kickstart a day. A definite recommendation if you're in the area. Located 4.3 mi from Rio Bridge in Patra, in the quiet seaside area of Rodini, Teatro Deluxe Rooms offers free WiFi throughout. Rooms are fitted with a flat-screen TV with satellite channels. The location was perfect and quiet. The owners were a really lovely family and the breakfast they prepared for us was delicious. We will definitely go back. Featuring a restaurant, the neoclassical 3 Sixty Hotel & Suites is located in the center of Nafplio, just 328 feet from the port. Great location and great architecture. Great food great hospitality and they have great steaks. Set on the beachfront, Smyros Resort is located 1.2 mi from Poulithra and offers an outdoor swimming pool and a terrace with sea views. The food was excelkent and breakfast was included. The staff very polite and helpful. Centrally located in Argos of Peloponnese, Apollon Hotel offers air-conditioned accommodations with a balcony overlooking the surrounding area. Very kind owners! They went above and beyond to make us feel welcomed. Offering a Spa and Wellness Center, Nymfasia Arcadia Resort is located in the mountain village of Vytína, in Arcadia. Kostas was the kindest host, keen to make our stay the best possible. The family-run Hotel Loutraki enjoys a privileged location just 131 feet from the beach, in the town center of Loutraki. The Location was fabulous, across the street from the beach. Boasting a privileged location, 984 feet from the gate of Monemvasia’s castle, Malvasia Traditional Hotel offers stone-built units most with views over the sea. We've been traveling in Greece for 8 days and this was by far our favourite. Located in the village of Kardara, the stone-built Nefeles Luxury Residences & Lounge offers elegant suites and villas each with a living room with fireplace and a kitchenette. Beautifully decorated room & quite spacious. The bed was very comfortable. Located in Leonidio Village, the stone-built Archontiko Hatzipanayioti is housed in a traditional listed manor of 1809 and serves a homemade Greek breakfast with organic products. location, cleanliness, breakfast was very good. Surrounded by fir-trees on Mount Mainalo, Natura Hotel Vytina offers a warm lounge area with fireplace, a snack bar and free WiFi throughout. Beautiful location - very peaceful. Excellent hosts - very friendly. Great breakfast. The neoclassical Aerinon Guest house is located 1969 feet from the center of Nafplion, boasting panoramic views of the city, the Palamidi fortress and the Argolic Gulf. Beautiful hotel, super clean. Fancy breakfast. Everything was good and pretty. Located in the village of Vrana in western Peloponnese, Hotel Taxiarhis offers rooms with free Wi-Fi and a private balcony. Taxiarhis was super accomodating and took great care of my family. Byzantino Boutique Hotel features a privileged location and offers various rooms within the castle of Monemvasia and enjoys panoramic sea views. Everything! The establishment and the place were just amazing! 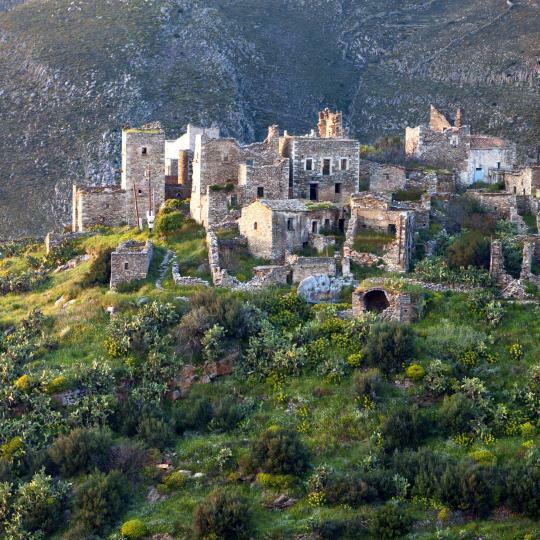 Citta dei Nicliani is housed in a listed, 18th-century tower-house in Kitta of Eastern Mani. Wonderful tower room. Lovely owners. Gorgeous grounds and terrace, where meals are served. Petropoulakis Tower is set in a restored centuries-old tower house, which stands on top of a hill. I cannot speak more highly of this place. The owners were outstanding and friendly. In a fir-tree forest in Vytina, this traditionally built hotel offers free Wi-Fi throughout and a buffet breakfast. Rooms feature a fireplace and balcony overlooking Mt. Mainalo. Everything. The staff was very friendly and generous with breakfast. Located in an olive grove at the Bay of Kyparissia, this hotel is located 2297 feet from the Mediterranean. It features a pool and accommodations with a balcony and sea views. Free Wi-Fi is provided. Great view, beautiful pool and overall great ambience. Loved our stay. Great value. Just 8.7 mi from Helmos Ski Center, this hotel is set in the center of Kalavryta and offers modern rooms with private balcony and air conditioning. There is a bar/lounge area with fireplace on site. Everything, from the room to the staff was great. Very kind and eager to facilitate our needs. Georgios V Chalet sits 3.3 feet above sea level, at the foot of mount Chelmos. It offers 2-story rooms with living room and a café bar with panoramic view. Kalavryta Ski Center is 5.9 mi away. Perfect location for visiting the mountain as it is 10 minutes by car from the top of the mountain. 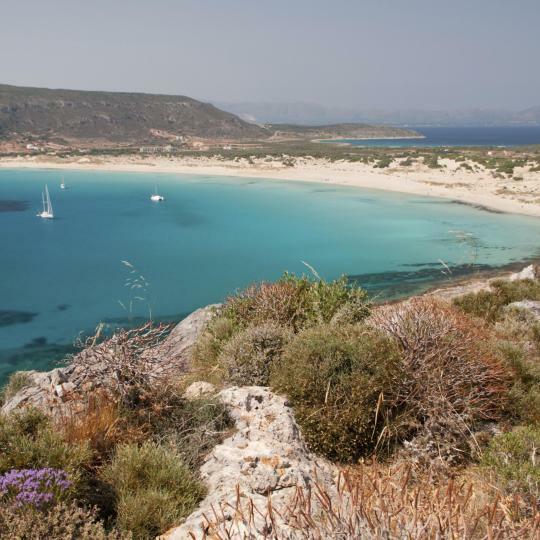 Elafonisos Island’s trademark beach is an earthly paradise of emerald waters, fine, white sand and 10-metre-high dunes cloaked in sea lilies. Built in the 4th century B.C., the imposing Epidaurus Theatre is an excellently preserved architectural gem with exceptional acoustics. Take a romantic stroll through cobbled alleys and past well-preserved neoclassical mansions before climbing Palamidi Castle’s 999 steps the the spectacular vista. 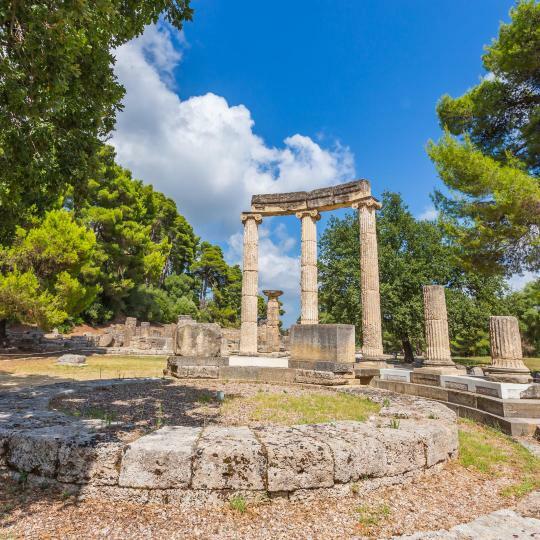 Marvel at ancient ruins of the Temple of Zeus and examine prehistoric remains from the site of the first Olympic Games. 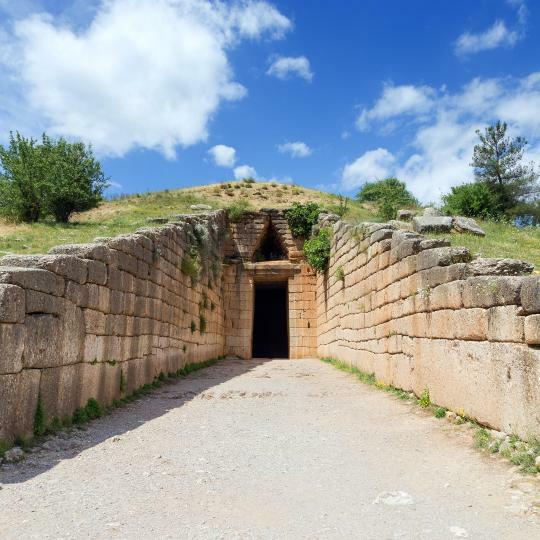 Past the stone Lion Gates of this ancient city lies the fortified citadel of Mycenae that once hosted the legendary palace of King Agamemnon. 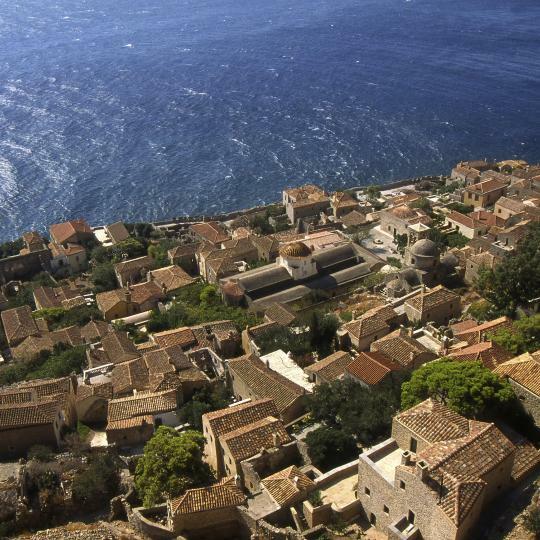 A visit to Monemvasia is like a journey through time where cobbled pathways, Byzantine churches and stone-built mansions recall the Middle Ages. 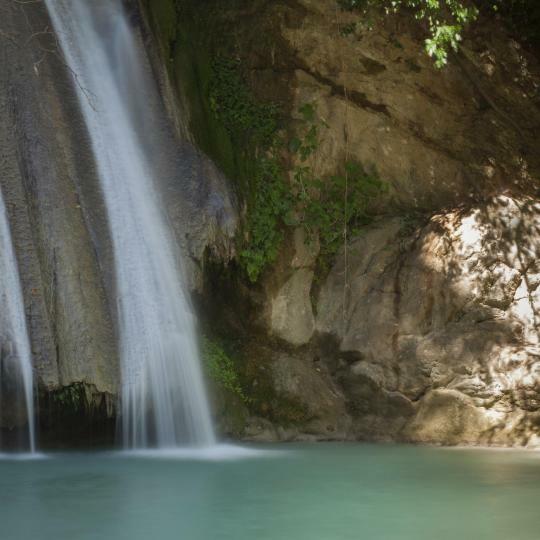 Nestled under lush plane trees, these tall waterfalls pour into an emerald pond creating a picture perfect spectacle for nature lovers. Renowned for its curved coastline which forms a tranquil bay, this exquisite beach is made more enchanting by the presence of Nava Castle. 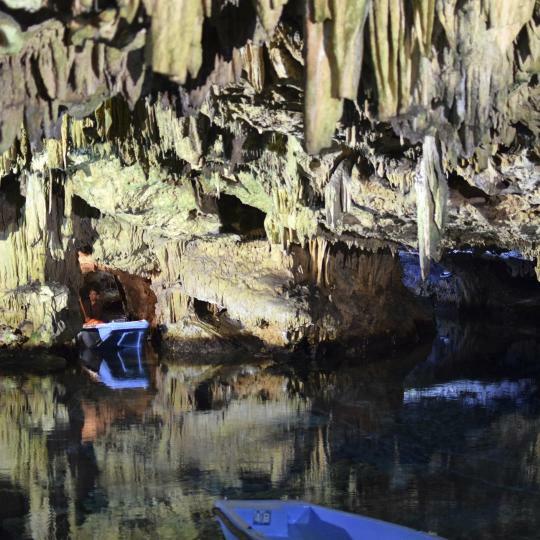 A 40-minute boat ride winds through a labyrinth of multi-coloured chambers in this fascinating lake cave with translucent waters. Built to protect their residents from pirates and invaders, these structures are an imposing symbol of an ancient nation’s fight for independence. Napflio is a beautiful renaissance-era town with a long history of importance to the Greeks. It is said to be one of the prettiest towns in Greece and I do think it is. Easily walkable, packed with good small restaurants and cafes, lovely squares, waterfront walks along the bay, and high quality shops. There is are three medieval castles guarding the town adding to the atmosphere. Easy to get to the major ruins of Mycenae, Epidaurus and close to small but evocative ruins like Tiryn's Cyclopean-walled castle. All in all, a terrific place to spend a few days. A good base for the Peloponnese. We stayed mostly in old town, which is beautiful. We stayed mostly in old town, which is beautiful. The ruins of Acronafplia are mysterious and open all day and night. Nafplio itself is a great place to relax and just take in the food, people, and scenery. It is an excellent base for touring part of the Peloponnese. If you're interested in the ancient sites, there are dozens in the area. It is also an excellent wine region. My advice is to rent a car and set up a base in Nafplio to explore. We stayed at Acronafplia pension on the hill, which was absolutely perfect for us as we were halfway between the beaches, the fortresses and the town. We opted for breakfast at our hotel which allowed us to get a nice leisurely start to the day. What a wonderful small town with so much to offer! What a wonderful small town with so much to offer! We ended up there 3 times as we toured the Peloponnese. It has something for everyone. Great restaurants, good shopping, beautiful old city with classic buildings, narrow picturesque streets with stretches of steps, beautiful plazas, churches, museums, an amazing fortress to explore, and even a nice full service swimming area in town! It's a central location for exploring historical sites as well. 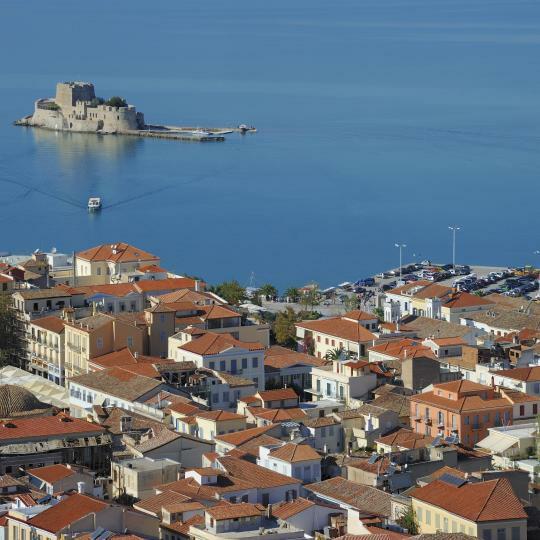 Nafplio is a quaint seaside town with lots of great tavernas and small shops. Ideal for evening strolls and good food. It is a great base to explore the Peloponnese reagion as it is close to many archeological sites and to Tolo from where you can take daily trips to the islands of Hydra and Spetses. Koroni is a beautiful seaside town with many taverns and cafes. It is situated on the southeast coast of the first of the three Peloponnese peninsulas. Zaga Beach is a very pretty spot with a restaurant right next door. Our favorite tavern was Bogris, in town opposite the high school. It is very easy to travel around the peninsula to many towns and tourist sites as well as back to Kalamata. Time is not an issue as all towns are within close proximity of each other and roads are pretty good compared to some Greek roads. Koroni itself is a little difficult getting around if you are not fit; many steep roads with many steps. We wanted to explore somewhere off the beaten path in January, and to do some hiking. Dimitsana was very quiet. The position of the town is breathtaking and we felt very lucky that the town we'd picked to stay in happened by far to be the nicest we'd seen since winding our way through the Peloponnese from Athens. There was rain, fog and snow some of the time (mid Jan), none of which took anything away from the amazing atmosphere of Dimitsana, the hills or the gorge. We felt like we were suspended in the air, sometimes above clouds, hanging over the Louisos Gorge. We only stayed one night and spent the next day visiting the incredible Prodromos and Philosophou monasteries. Hadn't seen anything like that before. For active visitors interested in something extra besides than beaches and historic sites Dimitsana well repays the drive from Tripoli. The roads are good, but quite steep and windy. Perfect if you like that kind of thing. Plenty of nice places to eat, we enjoyed the Drimonas taverna, on the way out of Dimitsana after the Piraeus Bank. Wish we had longer to enjoy hiking the mountain trails. Loved the old town with the cobbled, pedestrian streets, beautiful buildings, quaint staircases, orange trees, fountains, Staikopoulou Street and Syntagma/Sidagmatos Square. Wonderful assortment of tavernas tucked along the narrow lanes or facing the harbour. One of the prettiest towns in the Peloponnese. Tolo is a fab holiday location which is ideal as a base for exploring the Peloponnese including the old capital Napflio, Epidavros, Olympia and the islands Pros, Hydra and Sorted. There are many beach tavernas that serve food. I loved eating at the Barbarressa. The Greek night at the Aris Hotel was excellent with live music and dancing. Nafplio is a pleasant town with lots of interesting independent shops in the small streets and alleyways that make up the pretty old town. It is quite touristy and small cruise ships dock in the harbour so even in early October it was quite crowded on Sunday though much quieter on Monday. It's an easy place to wander around with loads of cafés, restaurants and (unusually for Greece) ice cream shops. It has quite a cosmopolitan feel. Palamidi Castle towers over the town and it's well worth the 900 or so step climb to the castle to see the views! We also visited the Folklore museum which is a charming snapshot of ages past. At €2 per person it's a bargain! If you're looking for a place to mooch and eat for a couple of days, Nafplio is a good choice but if you're wanting to get a feel of the authentic Peloponnese go elsewhere. This place is fabulous. It is on the west coast of The Peloponnese in Greece. It was beautiful with total water view and a private terrace. We had a fireplace, all cooking needs, lovely breakfast supplies proidd and a bottle of wine. It was our favorite spot in a two week Italy/Greece adventure. We drove the Mani Peninsula and I wish we stayed longer here. If you want a private paradise then this is it. Very traditional upscale decor with lovely detail. New, clean room and bath with a very comfortable bed, good blackout draperies, and good WiFi in our room on floor 1. Breakfast was very good with hot eggs, bacon, and sausages; yoghurt, cereals, little savory and sweet pastries, several kinds of bread, and fruit. It's not a place I'd spend my holiday, but it is a great stopping off place between the Peloponnese and ATH airport. Very good choice for a night or two. I'm sure we'll book here again. Perfect spot to stay on the way back from the Peloponnese to the airport. This time we arrived early enough to enjoy the pool and beach, both of which were lovely. Gorgeous breakfast and lovely restaurants nearby. Highly recommend. Room is comfortable, views are great and has every convenience. Everything is perfect. You have beach, pool restaurant on the beach. Corinth and athens are close. Peloponnese is close and beaches around. Perfect staff. They are cleaning rooms every day. For family with kids is perfect. Kalamata was a great place to stay for a few nights on our road trip around the Peloponnese. The hotel was within walking distance to a range of good tavernas and the beach.Parking was available underneath the hotel. The owners are wonderfully welcoming. The setting is peaceful and very convenient to Ancient Olympia. The rooms are comfortable and provide a perfect spot to stay a night or two while touring the Peloponnese. A stopover during our travel of Peloponnese. Wonderful view from the balcony though mosquitoes nearby. Renovated, good-sized room. Everything! Beautiful town and this is the perfect place to stay. Highlight of our 2 weeks in The peloponnese. There were no problem that staff couldn't deal with. 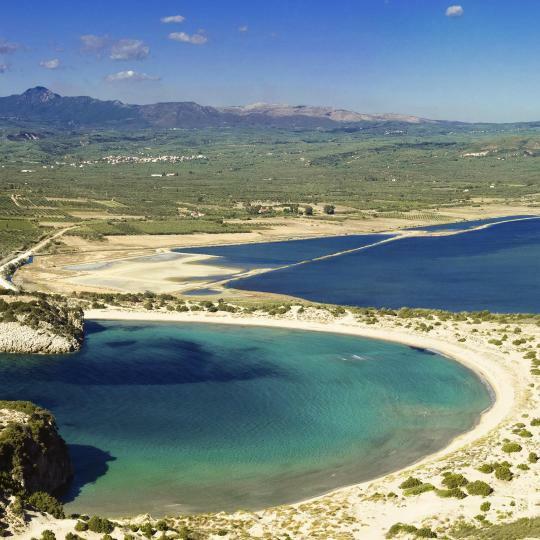 Good location for exploring north-east Peloponnese. Kinsterna was one of the most beautiful places we've traveled to date. The view is stunning and the food grown on the property, particularly the red wine, honey, and olive oil were delicious. We hope to make it back to Kinsterna sometime in the near future. The view from the balcony was awesome! The entire hotel is fully renovated and the staff is pretty friendly and helpful. The private beach is very clean. The swimming pool is very nice located and it has a small swimming pool for babies as well! The personnel is very polite , very professional, willing to assist at any time! It convinces every visitor that Greek staff . has an excellent know how, of high lever touristic services! Service was great. Facilities lovely. The complimentary fruit basket and bottle of wine were a nice touch. Beautiful location pool & views with a fabulous suite buffet & A+ service!